As a driver of his own rideshare car, Tupper Russell, was inspired by an idea that led to the creation of TALHM Entertainment - producers of entertainment content specifically created to air in rideshare vehicles. TALHM Entertainment produces twenty minute original programs that cover local events, comedy shows, concerts, and things to do around the city. In Los Angeles, the web-series, LA Scope keeps Angelenos informed as they travel the distance of their rideshare journey. With the average ride lasting twenty minutes, an otherwise boring trip is now informative to the rider, offering them suggestions of how best to enjoy and participate in the great experiences Los Angeles has to offer. 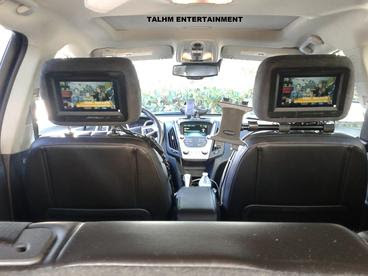 TALHM Enterprises is currently building a fleet of rideshare cars airing content across California and venture to expand the model throughout other American cities and international markets. The business model introduced by TALHM offers an innovative opportunity in a new market for advertisers. Tupper Russell believes the potential of the rideshare audience is valuable to advertisers. The majority of rideshare users fall in the key 18-35 age demographic, a group that advertisers highly value. TALHM Entertainment is leading a new platform in catering to society’s demand to be constantly entertained and informed.